Full Line of Beautiful Accessories Available! 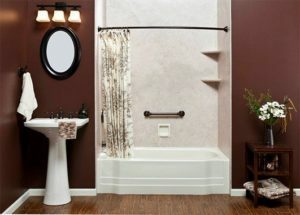 Click Here to View Our Bathroom Gallery. We are home improvement product experts, and through a detailed in-home consultation and needs analysis, we can help you determine the best products for the area you are renovating. We will examine your lifestyle, learn about any problems you may be experiencing with the area you want to improve, and gain an understanding of your personal preferences to help you achieve the best final result possible. Whether you enlist our services for a bathroom remodel that incorporates a new Jacuzzi® walk in bathtub, barrier free shower, or tub or shower liner, you’ll receive only high-quality products from reputable manufacturers. 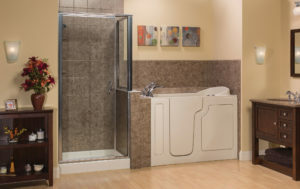 We are exclusive dealers in Hartford, CT, and the surrounding area for many of our products, including our bathtubs, showers, tub and shower liners, windows, and siding, and all of our CareFree systems combine the best in durability and aesthetics. Additionally, these products are backed by lifetime warranties, which we match with our own lifetime workmanship warranty, and are provided to you at our time of visit. So no matter what type of home improvement project you have in mind, you can rest assured knowing that your investment in a CareFree system will be well-protected. 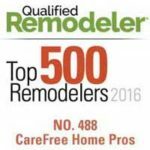 At CareFree Home Pros, we want to be your contractor for life. While some companies serving residents in Hartford, CT, and the surrounding area only perform one type of home improvement job, we complete a wide variety of different home renovation tasks. From bathroom remodels to installing vinyl replacement windows, siding, roofing, and replacement doors, we can execute virtually any project you may need. However, we won’t just rush to get the job done; we will ensure that everything is installed with precise craftsmanship and attention to detail. Because the next time you want to make a home improvement, we want you to make a CareFree decision. 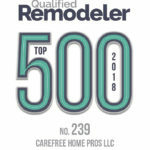 Since CareFree Home Pros was founded in 2000, we have worked hard to develop an exceptional reputation as a trusted home improvement company. We have built exclusive relationships with our manufacturers, completed a high volume of quality work, and proven that we have the financial stability to endure in the industry. The durable products we use, from our bathroom tubs and showers to our replacement windows and doors, in addition to our consistently exceptional workmanship, allow us to provide the same great results as a large company, but with the personal touch of a local business. 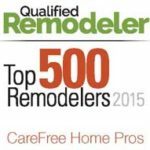 For more information on the bathroom remodeling, roofing, siding, replacement window installation services, and other home improvements we can perform, contact CareFree Home Pros today. We happily provide free in-home consultations for residents in Hartford and surrounding areas of Connecticut and western Massachusetts, and we also offer convenient financing options for all of our home renovation projects.